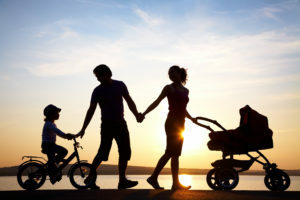 In addition to the fundamental, constitutional rights of a parent to have a relationship with his or her child, New Jersey Statutes and Regulations provide additional parental rights when the Division of Child Protection and Permanency becomes involved in your family and takes custody of your child. Specifically, before DCP&P takes custody of your child, the Division must make reasonable efforts to prevent placement of your child. In you are involved in DCP&P litigation and the Division has custody of your child, you should contact a DCP&P defense lawyer to discuss not only your constitutional parental rights, but also the New Jersey State Statutes and Regulations that impact your access to your child and your ability to have your child return to your custody. Our NJ DYFS lawyers represent clients throughout the State including in Freehold, Toms River, New Brunswick and Somerville. Contact our offices now for immediate assistance at (908)-356-6900. The initial consultation is always provided at absolutely no cost to you. What are my parental rights in New Jersey DCP&P Cases? If the Division receives a referral alleging that you perpetrated child abuse or neglect, or that there are child welfare concerns regarding your child, the Division may be in a situation in which it must determine whether or not to remove your child from your custody. During the course of DCP&P’s investigation; however, the Division must make reasonable efforts to prevent placement of your child. In fact, according to New Jersey Statute, “the Division shall make reasonable efforts to preserve the family in order to prevent the need for removing the child from the home.” N.J.S.A. 30:4C-11.1. For example, the Division may be able to agree to a Safety Protection Plan with the alleged perpetrator of the child abuse or neglect to protect the child and prevent a removal of the child from the family home. However, reasonable efforts are “not required if removal of child was necessary due to imminent danger to the child’s life.” N.J.S.A. 9:6-8.31. If the Division could not utilize reasonable efforts to prevent taking custody of your child and DCP&P removes your child from your custody, DCP&P is then required to make reasonable efforts to reunify your family. That is, the Division must assist the parents in remedying the circumstances and conditions that led to the placement of the child and in reinforcing the family structure including, but not limited to: consultations and cooperation with the parent in developing a plan for appropriate services; providing services that be been agreed upon, to the family, in order to further the goal of family reunification; informing the parent at appropriate intervals of the child’s progress, development and health; and facilitating appropriate visitation. N.J.S.A. 30:4C-15.1(c). DCP&P, as part of the reasonable effort of consulting with the parent in developing a plan for appropriate services, will develop a case plan. According to New Jersey Statute, the Division shall prepare and revise, when necessary, in consultation with the child’s parents and, when appropriate, the child, a placement plan for each child placed outside the home. N.J.S.A. 30:4C-55. According to the statute, the placement plan shall include a statement of the goal for the permanent placement or return home of the child and anticipated date that the goal will be achieved, the intermediate objectives relating to the attainment of the goal, a statement of the duties an responsibilities of the Division, the parents and the child’s caretaker, and a statement of the services to be proved to the parent. Services to facilitate adoption may be provided concurrently with services to reunify the child with the parent, and a permanency plan for the child and the Division’s reasonable efforts to achieve that plan. In addition to statutes, there are also regulations regarding the timing and content of DCP&P case plans. According to New Jersey Administrative Code, the Division shall make a case plan either within sixty days of a referral of child abuse or neglect or child welfare concerns or within thirty days of a child going into placement. N.J.A.C. 10:133D-1.4. The case plan is essentially, the who, what, when, why and how of the Division’s involvement with your family: it will outline why DCP&P became involved in the first place, where the children are residing, what the permanency goal is, and what services the parent needs to attend and what the parent ultimately needs to achieve in order to have the children returned home. N.J.A.C. 10:133D-1.7. Moreover, the Division is required to have face-to-face contact with the parent to develop, implement, and update a case plan. N.J.A.C. 10:122D-2.4. If the Division of Child Protection and Permanency received a referral alleging child abuse and neglect or child welfare concerns, you should contact a DCP&P attorney who is not only familiar with child abuse and neglect law, but who is also knowledgeable of what the Division must do before it attempts to take custody of your child. If DCP&P has already removed your child from your custody, you should also consult with a DCP&P defense attorney that knows the steps that the Division must take to provide you visitation and keep you informed about what you need to do to get your child back. Contact us now for a free initial consultation at (908)-356-6900.